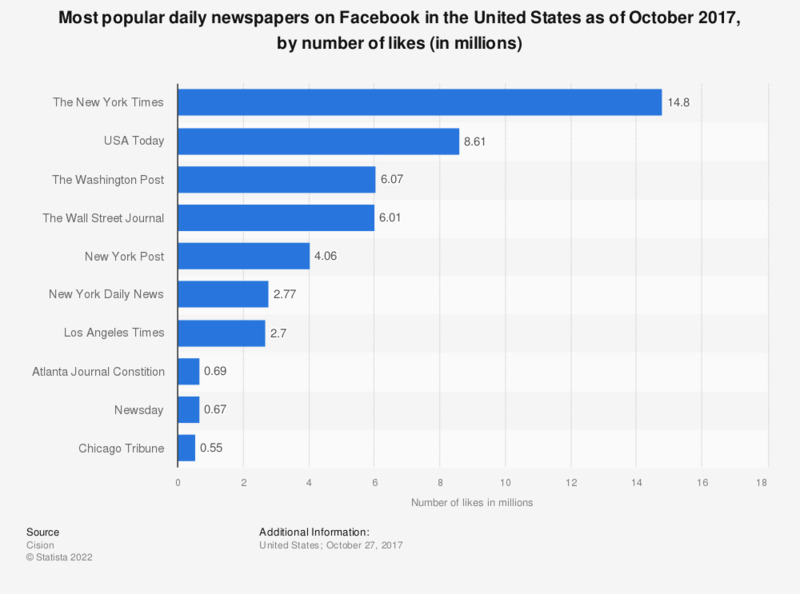 This statistic presents the most popular daily newspapers on Facebook in the United States as of October 2017, ranked by number of likes. As of the measured period, The New York Times was ranked as the most-followed daily U.S. newspaper with 14.8 million likes. Coming in second was USA Today with a total of 8.61 million likes. All numbers were pulled on Facebook by number of likes, and will change over time as follower count fluctuates. Do you have a subscription for one or more digital newspaper?